Earlier this year, the Miami Hurricanes got a complete uniform makeover from Nike, marking their first change since 2006. The new uniform design featured four different jerseys and four different pants, alongside three new helmets with the &apos;Canes will rock on field this year. With the season looming, we get a detailed look at two of the helmets, which will surely be one of the best looking in all of college football. The rage around college football is flashy uniform designs with bright crazy colors that standout on the field. 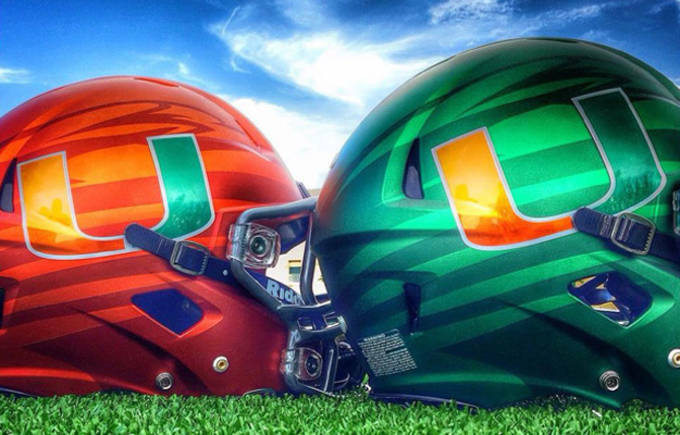 The two helmets we&apos;re getting a look at today fit into that category, and are aptly named the “Juice” and “Surge”. 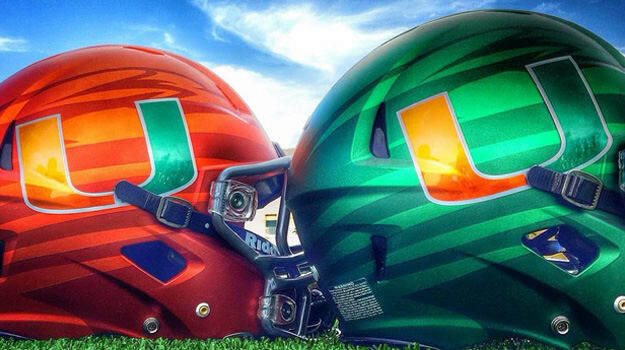 The "Juice" helmet comes in Miami&apos;s classic green and features tonal stripes to represent the ibis, the schools mascot, and also includes the iconic "U" logo across the side. 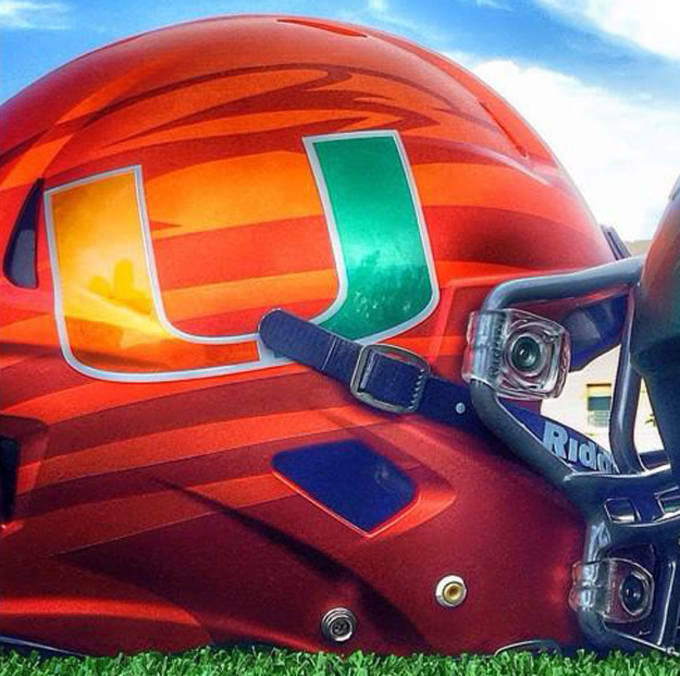 The "Surge" helmet features the same design but done up in a full orange scheme. 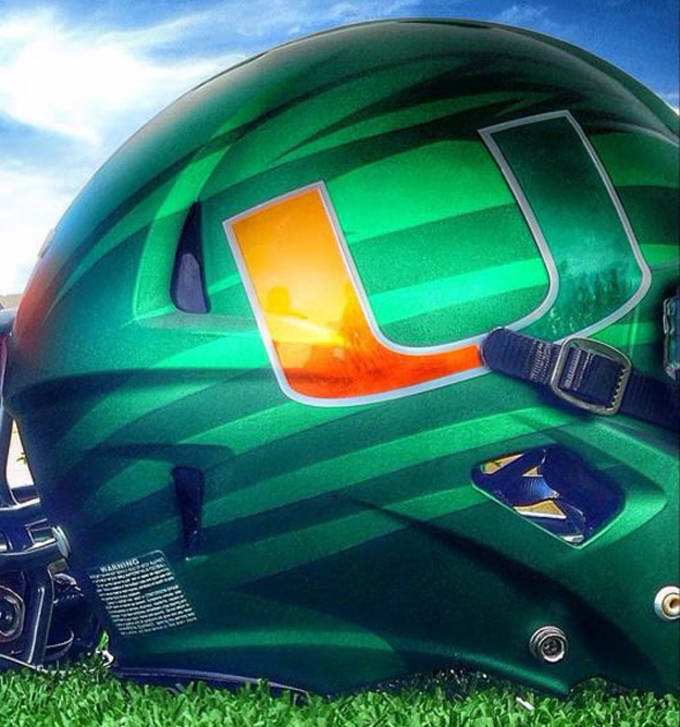 Keep an eye of the &apos;Canes as they are scheduled to debut the helmets against Louisville when they open the season September 1.